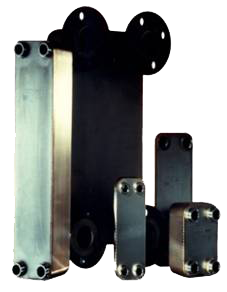 Triangle Tube brazed plate heat exchangers consist of as many as 150 pattern-embossed stainless steel plates. By brazing every second plate together and then turning them 180 degrees, they’re able to create two separate flow channels in counter current. This unique design creates a better turbulence and an outstanding heat transfer – resulting in a highly efficient heat exchange.